The sleek, modern styling of this business card case provides the perfect background for the World's Greatest Dad Logo. The case easily opens for unrestricted access to the stored business cards and makes an ideal corporate gift or executive desk item. 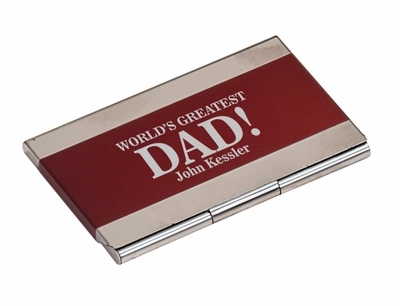 Remember� you found the World's Greatest Dad Business Card Holder at TShirtHub.com, where high quality came at a low price.